Why are we using Revit? Two semesters ago I took a design course. It was a level 2 design course and there were about fifteen kids in the entire class. Out of those fifteen kids I was the only student using Revit. Now, in that same design course, in the same school, more than half of the students are using Revit. 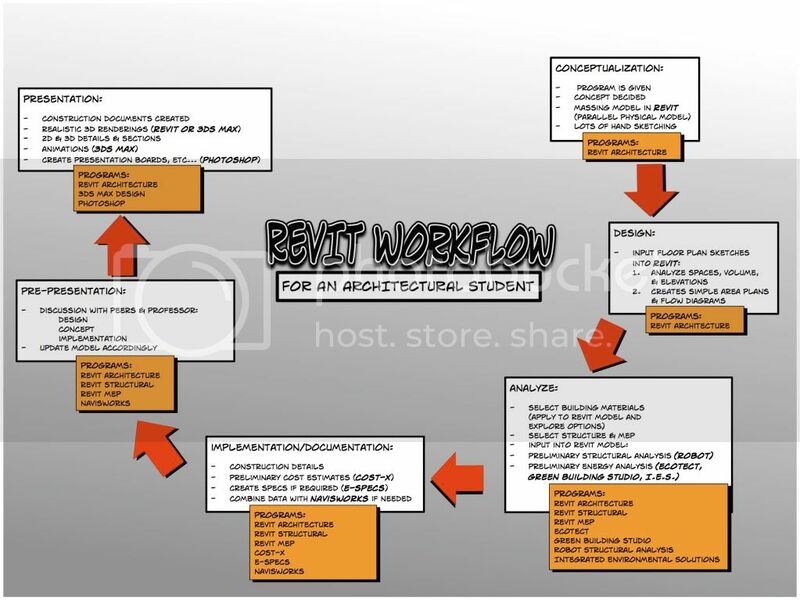 Within one year the number of students using Revit rose from 6% to 60%! 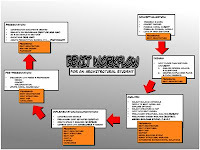 Firstly, I would like to analyze and address the reasons why so many students decided to use Revit. My personal opinion is that almost every student who took the leap within such a short period of time did so for one reason. The "wow" factor. Ultimately, back when I was the only student in the class using Revit 2009 was just being released. None of the students even bothered to take the time and learn Revit until they saw the renderings being produced by Revit 2009. SOLD! The "wow" factor wins again. It makes a 3D Model for me. It makes sections and elevation for me. It plots nicer than my CAD files did. Although these are all benefits of using Revit they are not nearly the only benefits. Greg, over at Revit3D.com, and I have had numerous conversations revolving around this topic. How can we control the future of Revit? How can we stop Revit from becoming just another drafting tool the way Architectural Desktop did? I believe Greg's exact words were, "We don't want these students graduating and being a bunch of BIMpanzees!" Sadly, this will happen if we, the students, do not educate ourselves on the many other benefits of using Revit in the future. My goal is to create a guide and starting point for my fellow students and I. There are many advantages to using Revit in the classroom that will parallel the use of Revit in professional practice. Just because our professors don't teach or require the use of Revits extensive capabilities does not mean we cannot or should not incorporate them into our design process. The following chart is a preliminary workflow diagram I have devised as a general outline and starting point. 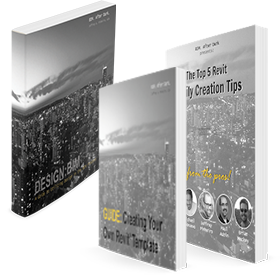 With this guide we can simulate the use of Revit in professional practice while having a major advantage over the rest of the students in our design studio's. Over the next few posts I will explain each of the steps of this workflow chart. I will explain how Revit will be utilized. I will also explain and introduce many new programs some of you might not have ever heard of. Enjoy. I have opened up the dialogue. Please email me or comment with questions and input that will further excel this experiment of mine. Also, here is a quick post on IPD that will be referenced during this process.